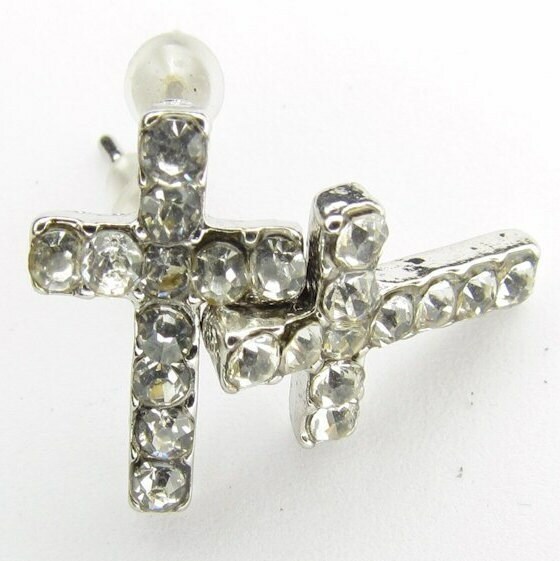 Very nicely cast small Silver Rhinestone Cross Stud Earrings for Engagement and Wedding. Also comes with Matching Pendant. 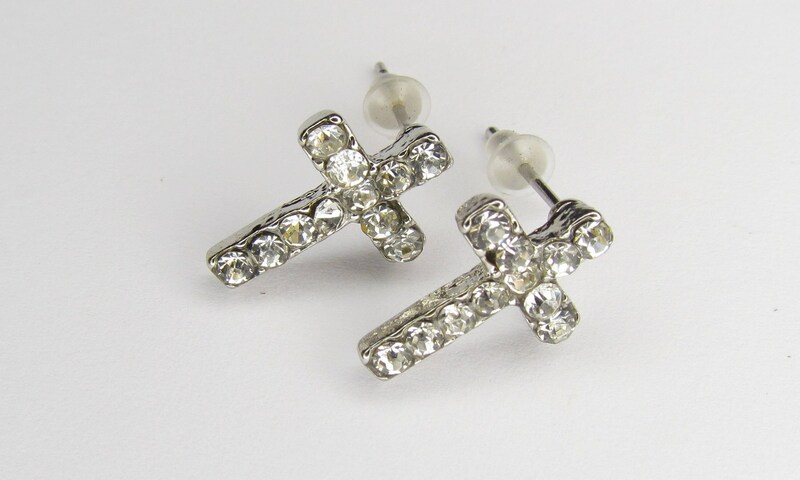 The perfect size small Silver plated and Rhinestone Cross Earrings and Pendnat. Dainty size Earrings and Necklace is perfect for Engagement and Weddings. 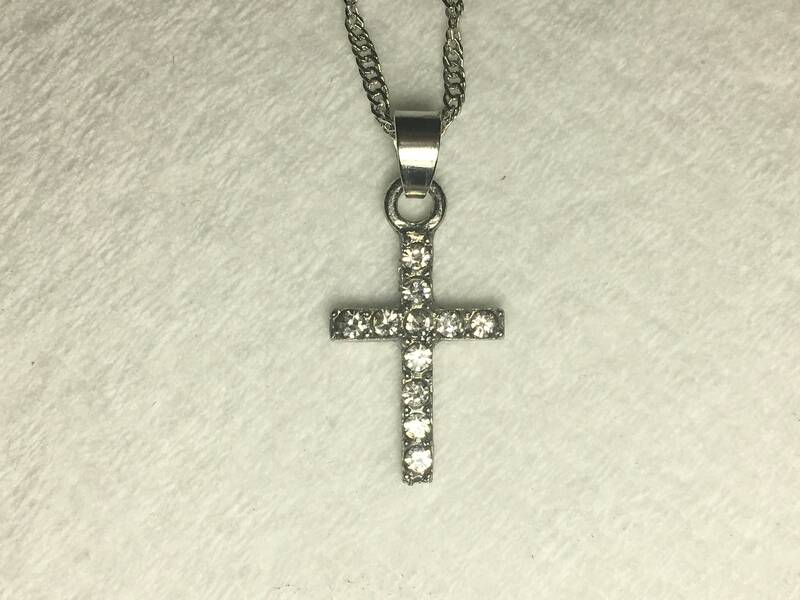 The Cross is just slightly smaller than 3/4" x 1/2". 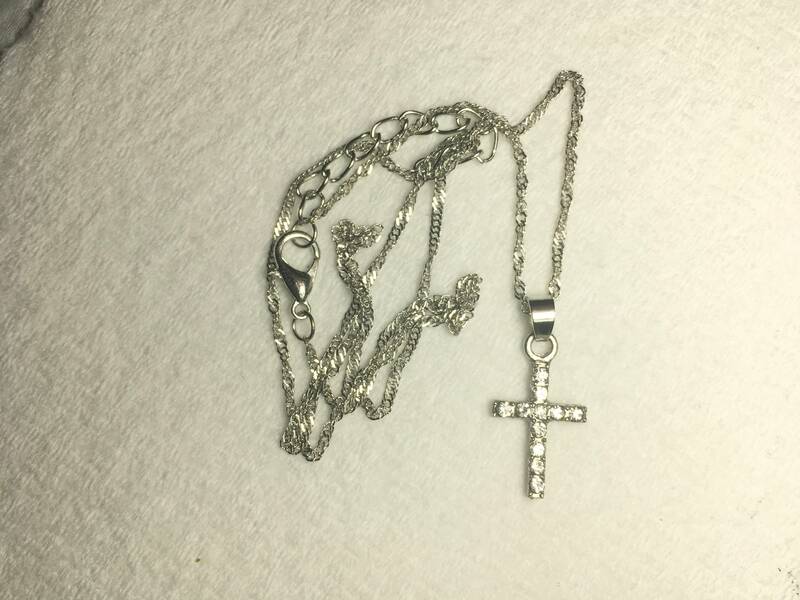 The Pendant comes with a very nice twisted 18” link chain that is adjustable to longer lengths and has a lobster clasp. The Earrings come with push backs.